Cycling plays an essential role in helping young people to stay active, healthy and fit. It also helps them to improve their engagement with education and to access more professional opportunities. That’s why we’ve launched WAVE; a new customizable service to stimulate young people to start cycling through attractive cycling experiences. Our first activation is now live and WAVE is now open to be adopted by cities, educational institutions or any organization working with young people, in any part of the world. 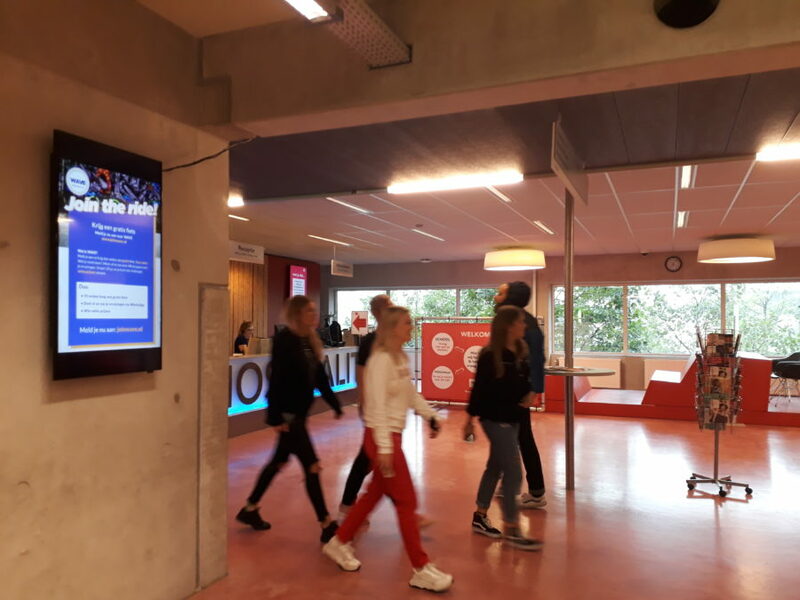 The starting point for WAVE was the ROC College Zuid in Amsterdam, where students in their late teens undertake a number of courses. ROC had identified a challenge that there was an extremely low percentage of the students cycling to college. They asked BYCS to help address this. Cue WAVE. As the majority of ROC students have a poor connection to cycling, our first step was familiarising them with cycling and making the connection between cycling and their interests and values. We did this through an interactive bike ride, guided by young BMXers, that highlighted locations of their liking. 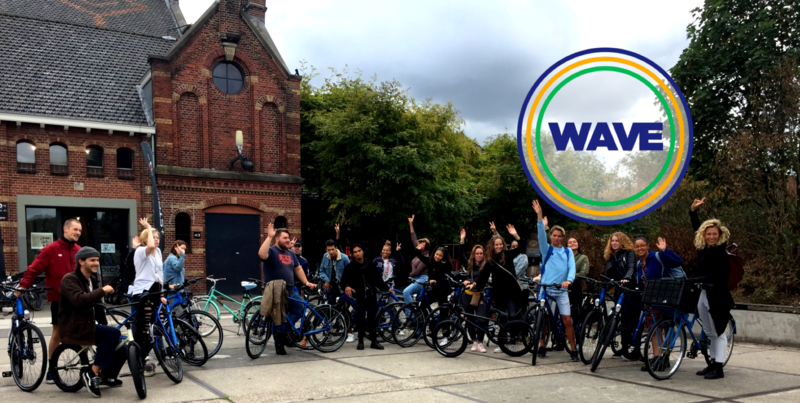 We tied cycling to their studies – in this case Event Production – by combining by the bike tour with a tour of one of the most famous event locations in Amsterdam; the Westergasterrein, in the west of amsterdam. WAVE is an adaptable program, that we can tailor to fit your needs. Wherever you are in the world, and whether you work for a school, council, or a business. If you’re looking to get young people active, we can help you achieve your goal. The next step in the campaign was WAVE + Swapfiets. 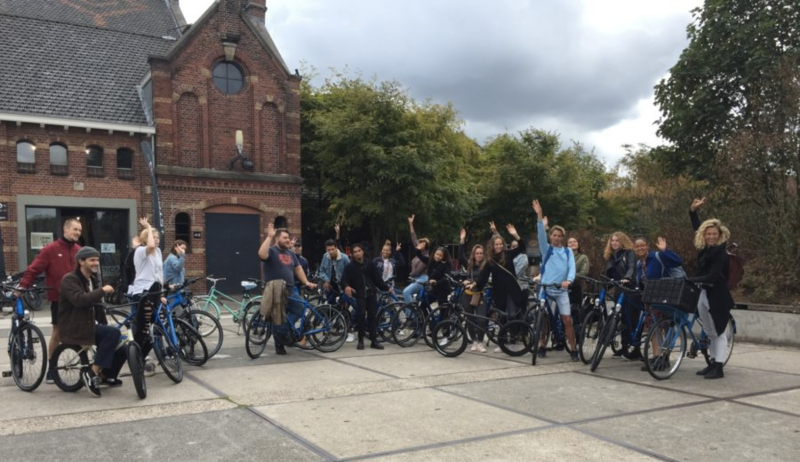 Swapfiets is a dutch bike sharing system, and to really immerse the students in the cycling lifestyle, we partnered up with them to give away 35 bikes for free for ten weeks. During this period we asked the students to partake in cycling challenges, and share their experiences with us. To get the students on board, we produced flyers and a video for in the school halls, leading to the WAVE website. Also, we went to the ROC to actively recruit students for this pilot (as seen in the pictures below). WAVE has been adapted to work best for ROC’s needs. The program can be refined and applied in different contexts, taking into account student needs, age, communications channels and local cultural connections. Contact us now to discuss how we can adapt WAVE to suit your organisation’s situation. WAVE is a project carried out for Ministerie van Infrastructuur en Waterstaat and in cooperation with Gemeente Amsterdam, Hello Zuidas and Green Business Club Zuidas. The bikes are provided by Swapfiets.